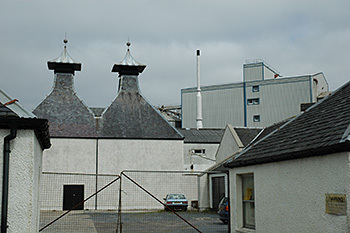 The distillery in question is Port Ellen distillery, closed in 1983. As parts of the distillery were demolished and in particular the stills were dismantled it is now lost forever. In order to print the book Benny needs some funding/backing. To do this he has launched a Kickstarter campaign, Port Ellen Distillery - awakening a sleeping beauty. In a nutshell it works like this: You pledge to provide a certain amount of money, in return you will receive the finished product and/or service. There are different levels, you'll find them on the page. Benny has set a quite ambitious deadline to meet his funding target (that's when your pledge will be called on), Wed 21/Jan/2015. Not much time left. I will make my pledge soon, as soon as I've set up a Kickstarter account. Will you make a pledge (assuming you're interested in the book)? PS: There's also a Port Ellen Distillery - awakening a sleeping beauty Facebook page for other updates.